HC Global Fund Services | Experienced Advisors. Customized Solutions. valuable service to our clients globally. HC Global Fund Services is a San Francisco based firm founded in 2008 on our commitment to deliver excellent quality work and valuable service to our clients globally. Launching and maintaining a fund can be challenging and sometimes an overwhelming experience. Our goal is to be a value added partner above and beyond the standard offering and be responsive to the ever-changing demands of the alternative investments industry. From inception to operations – HC Global offers a framework of practical options, knowledge and resources to help you make informed decisions for the growth of your business. Our current client AuA is over $10bb. The work we do at our firm is provided by our team of over 150 highly qualified finance professionals. The core team is built on Managing Directors who worked at the BIG 4 audit firms or Hedge Funds, and the company model is based on the BIG 4 audit firms rather than a traditional administrator. The principals account for 120 years of combined experience in the financial and alternative investment industry. Albert is a Managing Director and has been in the investment industry since 1998. He has worked in the field of public accounting for over 13 years. 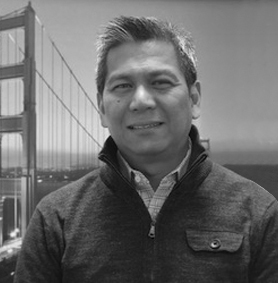 Prior to HC Global, Albert was a Partner/Controller at Banyan Securities LLC, a broker/dealer in the San Francisco Bay Area. During his 14 years at Banyan, he also served as the Outsourced CFO for a number of hedge funds. 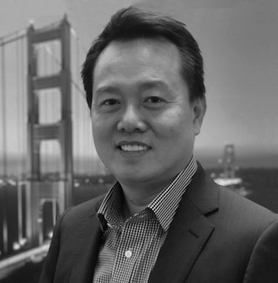 Prior to Banyan, Albert was a Senior Auditor in the Global Asset Management Practice of Ernst & Young San Francisco. Casper is a Managing Director and has been in the investment industry since 2000. He has worked in the field of public accounting for over 16 years. 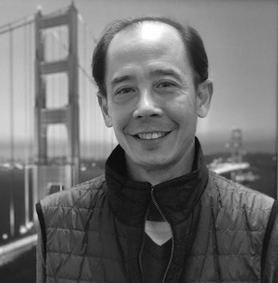 Prior to HC Global, Casper was a Senior Manager in the Global Asset management Practice of Ernst & Young in San Francisco and Los Angeles. Charina is a Managing Director and has been in the investment industry since 2005. She has worked in the field of public accounting for over 16 years. 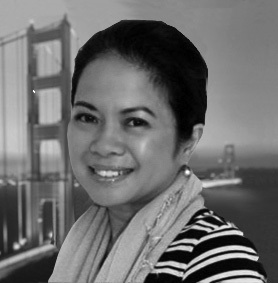 Prior to HC Global, Cha was a Manager in the Global Asset Management Practice of Ernst & Young in San Francisco. Ghufran is Chief Operating Officer. 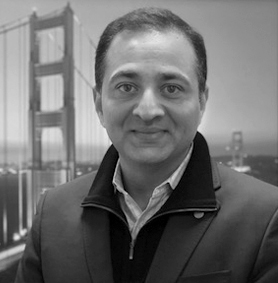 Prior to HC Global, he was COO and Partner at Standard Pacific Capital LLC (5 billion global long/short) responsible for operations, trading, technology, investor relations and business strategy. He has 21 years of hedge fund experience and helped SPC invest globally, launching various products like Asia funds, Quant Funds, Commodity Funds, Concentrated Fund, SMAs and Credit Funds. Prior to SPC, he served as operations manager at Credit Suisse Asset Management. Nick is a Managing Director and has been in the investment industry since 1996. He has worked in public accounting for over 13 years. Nick was previously the Chief Financial Officer of a fixed income and long/short equity hedge fund. Nick was also a Senior Manager in the Global Asset Management Practice of Ernst & Young San Francisco. 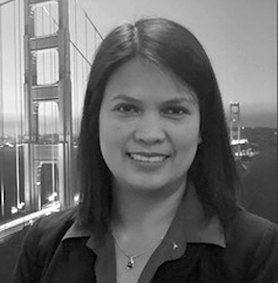 Roselle is a Managing Director and has worked in public accounting for over 16 years, of which, 10 years was with Ernst & Young, LLP. Her public accounting experience exposed her to various industries: manufacturing, service, pharmaceutical, technology, nonprofit, among others. Prior to HC Global, Roselle was a partner in the audit practice of a regional accounting firm in the Bay Area. Our thrust is to partner with you in your growth by understanding your needs and assisting you in achieving your goals. That is why we’ve partnered with some of the leading financial management tools to customize your experiences and help you streamline your process, make better business and investment decisions, reduce risk and retain capital. Would you like to speak with one of our financial advisors over the phone? Just submit your details, and we’ll be in touch shortly. You can also email us if you would prefer. HC Global Fund Services, LLC (“HC Global”) is a privately owned fund administrator serving fund managers and investment advisors in the alternative investments industry. We are currently in the process of updating our products to continue providing you with the best service possible. In the meantime, please login to your client portal from our old site. Sorry for the inconvenience and thank you. HC Global Fund Services, LLC (“HC Global Fund Services” or “we” or “us”) offers access to and use of www.hcglobalfundservices.com (“site”) to you, subject to your acceptance of these terms and conditions (“Terms”). By accessing, using or obtaining any Content (as defined in Section 1 below), the Software (defined in Section 5 below) or any products or services through our site, you agree to follow and be bound by these Terms. If you do not accept all of these Terms, then please do not use our site, as you do not have permission to do so. 1. OWNERSHIP. Content, including but not limited to text, data, audio, video, photographs, images, graphics, or other information or material contained on this site or in commercially produced information presented to you through the site (collectively, the “Content”) is owned by us or by our service and information providers (“Providers”) and is protected by copyright, trademarks, service marks, logos and site marks (collectively, the “Marks”) or by other proprietary agreements and laws. Your use of and access to our site do not grant you any license or right to use any of the Marks or any other intellectual property rights (except as provided for Software in Section 5 below) owned by, or licensed to, us or our Providers (the “Intellectual Property Rights”). In addition, without the express written authorization of HC Global Fund Services, you will not copy, reproduce, republish, download, upload, print, post, transmit, distribute, sell, license, rent, lease, transfer, perform, modify, create derivative works from, or otherwise exploit or use any of the Content or the Marks (in whole or part), provided that you may download, display and print one copy of the Content and attached Marks presented on our site on a single computer for your personal, non-commercial use. You will not use any robot, spider, other automatic device, or manual process to monitor materials available through our site. All software, applications, and modules used on our site are proprietary to us or licensed to us by other parties. You may not reproduce, reverse engineer, create derivative works of, reverse assemble or reverse compile, sell, lease, distribute, rent, assign, transfer, or modify any software on our site. These Terms do not transfer to you any right, title or interest in the site, the Content, the Marks, the Software (except as provided in Section 5 below) or in the Intellectual Property Rights. Any rights not expressly granted herein are reserved to HC Global Fund Services and/or its Providers. 2. COPYRIGHT AND TRADEMARK NOTICES. All contents of our site are Copyright 2012, HC Global Fund Services, LLC, all rights reserved. “HC Global Fund Services” is a trademark of HC Global Fund Services, LLC. Other product, service and company marks and names listed in our site may be the trademarks or copyrighted property of their respective owners. 3. USE OF SITE. You may only use our site if you are at least 18 years of age and can enter into binding contracts (our site is not available for use by minors). You are responsible for maintaining the secrecy of your passwords, login and account information. You will be financially accountable for all uses of our site by you and anyone using your password and login information. You agree to be completely responsible for all charges, fees, duties, taxes and assessments arising out of the use of our site. You also represent and warrant that all information supplied by you is true and accurate. You may not use our site: to post or transmit any unlawful, threatening, libelous, defamatory, obscene, indecent, inflammatory, pornographic or profane material or any material that could constitute or encourage conduct that would be considered a criminal offense, give rise to civil liability, or otherwise violate any law; or for any other purpose that is unlawful or prohibited by these Terms. We may, at any time and without advance notice or liability, terminate or restrict your access to all or any component of our site. Your access to our site may not be uninterrupted or available at all times. We cannot promise that our site will be error-free, that defects or errors will be corrected or that our site or the servers that make it available are free from viruses or other harmful components. You will not use any device, software or routine that interferes or attempts to interfere with the normal operation of our site or take any action that imposes an unreasonable load on our computer equipment. 4. USER INFORMATION. Content you send to us, as between us and you, whether via e-mail, forms, messages, ideas, and/or suggestions, becomes our sole property and is transmitted at your sole risk. You are strictly prohibited from uploading to our site any material that contains any virus, worm, “Trojan horse”, time bomb, adware, spyware, or similar contaminating or destructive feature. Violators may be prosecuted to the maximum extent of the law. 5.1. Any software that is made available to download from our site (“Software”) is our copyrighted work, or affiliates, and/or their suppliers. 5.2. We hereby grant to you a personal, nontransferable license to use the Software for viewing and otherwise using our site in accordance with these terms and conditions and for no other purpose. 5.3. Please note that all Software is owned by us, our affiliates, and/or their suppliers, and is protected by copyright laws and international treaty provisions. Any reproduction or redistribution of the Software is expressly prohibited by law, and may result in severe civil and criminal penalties. Violators will be prosecuted to the maximum extent possible. 5.4. WITHOUT LIMITING THE FOREGOING, COPYING OR REPRODUCTION OF THE SOFTWARE TO ANY OTHER SERVER OR LOCATION FOR FURTHER REPRODUCTION OR REDISTRIBUTION IS EXPRESSLY PROHIBITED. THE SOFTWARE IS WARRANTEED, IF AT ALL, ONLY ACCORDING TO THE TERMS OF THESE TERMS. 5.5. You acknowledge that the Software is subject to applicable export control laws and regulations of the United States. You agree not to export or re-export the Software, directly or indirectly, to any countries that are subject to United States export restrictions. Notwithstanding anything to the contrary herein, if any Software is accompanied by an end user license agreement, use of such Software shall be governed by the terms of such end user license agreement. You may not download or install any such Software unless you have read and accepted the terms of such end user license agreement. 8. WARRANTY DISCLAIMER. WE AND OUR PROVIDERS MAKE, NO WARRANTY OF ANY KIND REGARDING OUR SITE AND/OR THE SOFTWARE OR ANY PART OF THE CONTENT, OR REGARDING PRODUCTS OR SERVICES PROVIDED ON OUR SITE, ALL OF WHICH ARE PROVIDED ON AN “AS IS” BASIS. WE AND OUR PROVIDERS EXPRESSLY DISCLAIM ANY REPRESENTATION OR WARRANTY THAT OUR SITE OR ANY OF THE FOREGOING MATTERS WILL BE ERROR-FREE, SECURE OR UNINTERRUPTED. WE AND OUR PROVIDERS FURTHER DISCLAIM ANY WARRANTY AS TO THE ACCURACY, COMPLETENESS AND TIMELINESS OF THE SOFTWARE, ANY PART OF THE CONTENT OR ANY PRODUCTS OR SERVICES PROVIDED FOR OR FOUND ON OUR SITE. WE AND OUR PROVIDERS EXPRESSLY DISCLAIM ALL WARRANTIES AND CONDITIONS, INCLUDING IMPLIED WARRANTIES AND CONDITIONS OF MERCHANTABILITY, FITNESS FOR A PARTICULAR PURPOSE, TITLE, NON-INFRINGEMENT, AND THOSE ARISING BY STATUTE OR OTHERWISE IN LAW OR FROM A COURSE OF DEALING OR USAGE OF TRADE. SOME STATES DO NOT ALLOW THE DISCLAIMER OF IMPLIED WARRANTIES, SO THIS WARRANTY DISCLAIMER MAY BE LIMITED IN ITS APPLICABILITY TO YOU. CHANGES ARE PERIODICALLY ADDED TO THE INFORMATION HEREIN. WE, OUR AFFILIATES, AND/OR THEIR RESPECTIVE SUPPLIERS MAY MAKE MODIFICATIONS, IMPROVEMENTS AND/OR CHANGES ON THIS WEB SITE AT ANY TIME. 9. LIMITATION OF LIABILITY. WE AND OUR PROVIDERS WILL NOT BE RESPONSIBLE OR LIABLE FOR (A) ANY DAMAGES TO OR VIRUSES THAT MAY INFECT YOUR COMPUTER EQUIPMENT OR OTHER PROPERTY AS THE RESULT OF YOUR ACCESS TO, USE OF OR BROWSING IN OUR SITE OR YOUR DOWNLOADING OF ANY SOFTWARE OR ANY PART OF THE CONTENT, OR OF ANY PRODUCTS AND SERVICES FROM OUR SITE OR (B) ANY INJURY, LOSS, CLAIM, DAMAGE, OR ANY SPECIAL, EXEMPLARY, PUNITIVE, INDIRECT, INCIDENTAL OR CONSEQUENTIAL DAMAGES OF ANY KIND (INCLUDING WITHOUT LIMITATION LOST PROFITS OR LOST SAVINGS), WHETHER BASED IN CONTRACT, TORT, STRICT LIABILITY OR OTHERWISE, THAT ARISES OUT OF OR IS IN ANY WAY CONNECTED WITH (I) ANY USE OF OUR SITE OR THE SOFTWARE OR ANY PART OF THE CONTENT OR OF THE PRODUCTS AND SERVICES FOUND THEREIN, (II) ANY FAILURE OR DELAY , OR (III) THE PERFORMANCE OR NON PERFORMANCE BY US OR ANY PROVIDER, EVEN IF WE HAVE BEEN OR A PROVIDER HAS BEEN ADVISED OF THE POSSIBILITY OF DAMAGES TO SUCH PARTIES OR ANY OTHER PARTY. THIS DISCLAIMER OF LIABILITY APPLIES TO ANY DAMAGES OR INJURY CAUSED BY ANY FAILURE OF PERFORMANCE, ERROR, OMISSION, INTERRUPTION, DELETION, DEFECT, DELAY IN OPERATION OR TRANSMISSION, COMPUTER VIRUS, COMMUNICATION LINE FAILURE, THEFT OR DESTRUCTION OR UNAUTHORIZED ACCESS TO, ALTERATION OF, OR USE OF RECORD, WHETHER FOR BREACH OF CONTRACT, TORTIOUS BEHAVIOR, NEGLIGENCE, STRICT LIABILITY OR UNDER ANY OTHER CAUSE OF ACTION. 10. DOLLAR LIMITATION. If, despite the limitations in Sections 8 and 9 above, we are or a Provider is found liable for any loss or damage which arises out of or is in any way connected with any of the occurrences described in such sections, then our liability and our Providers’ liability will in no event exceed, in total US $500. Some states do not allow the limitation of liability, so the limitations above may not apply to you. Such limitations on liability are in addition to, and not in lieu of, any limitations on liability set forth in any other agreement between you and us. 12. GENERAL. The headings in these Terms are for your convenience and reference only. Such headings do not limit or affect these Terms. Your acceptance of these Terms and use of our site do not create a joint venture, partnership, employment or agency relationship with us. You may not assign, delegate or transfer your rights or obligations under these Terms. We may modify these Terms at any time. Your continued use of our site, following any modification of these Terms, will be subject to the Terms in effect at the time of your use. You will review these Terms periodically. Your continued use of our site, following any modification, will be your acceptance of the modified Terms. Except as described in the preceding sentences, you and we can only modify these Terms in a written document signed or otherwise accepted by you and by us. Other terms and conditions may apply to your purchases of advertising services and products through our site and to your use of other portions of our site. You will observe these other terms and conditions. If we fail to act with respect to your breach or anyone else’s breach of these Terms or any other terms and or conditions on any occasion, we are not waiving our right to act with respect to future or similar breaches. If a court finds any provision of these Terms to be unenforceable or invalid, that provision will be enforced to the fullest extent permitted by applicable law and the other Terms will remain valid and enforceable. These Terms, together with those items made a part of these terms by reference, make up the entire agreement between us and you relating to your use in any manner of our site, and replaces any prior understandings or agreements (whether oral or written) regarding your use of our site. The laws of the State of California (USA), without regard to its conflict of laws rules, will govern these terms and conditions, as well as your and our observance of them. If you take any legal action relating to your use of our site or these Terms, you agree to file such action only in the state and federal courts located in San Francisco, California (USA). In any such action or any action we may initiate, the prevailing party will be entitled to recover all legal expenses incurred in connection with the action, including but not limited to costs, both taxable and non-taxable, and reasonable attorneys’ fees. A printed version of this agreement and of any notice given in electronic form shall be admissible in judicial or administrative proceedings based upon or relating to these Terms to the same extent and subject to the same conditions as other business documents and records originally generated and maintained in printed form. These Terms are effective as of November 30, 2012.